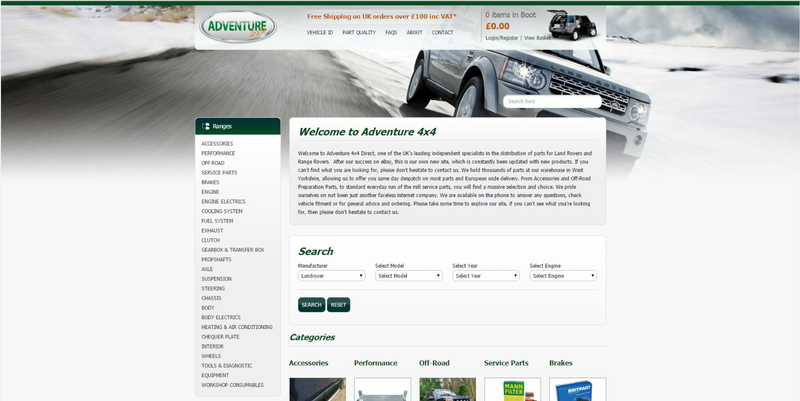 Adventure 4x4 – We added click and collect to the retail site due to high demand from Yorkshire based clients and the cost of shipping heavy car-parts. Click and collect gives clients an easy way to pay online and collect their order from the Leeds depot. Uniwire – We launched a new responsive website for Uniwire, manufacturers of wire products used in agriculture and other industrial applications. The new site is easy to manage and displays the range of products on offer. J Radcliffe – Huddersfield based J Radcliffe were in need of a new website to bring the current catalogue up to date and accessible on mobile. The new site was launched this month and is already delivering success for our client. Hi-Tech alarms – We built an Ascensor Air website for the Morley based security specialists at Hi-Tech. The Air solution is perfect for communicating basic services and generating leads. Ascensor – Our new company website launched last month and showcases our capabilities in terms of fast-loading animation. We have developed a ‘is your website mobile friendly?’ checker and other interactive features to show what the team can do! Yorkshire Laser and Fabrication – We launched a new site for Yorkshire Laser built using the WordPress platform. The new site is built to modern standards and includes a staff log-in area to allow the secure sharing of company content. Your London Florist – We have given YLF a facelift and made the offering mobile friendly. Powered by the Ascensor Liquid CMS the updated website is easy to manage and built to suit the search engines expectations. Electronic Spares and Repairs – We have developed a new ecommerce site for Featherstone based ESR who supply a range of hard to find electrical goods and provide a repair service. The catalogue is huge and we have developed a product manual download feature as part of the ecommerce offering. Thermocable – We took on 3 Wordpress sites for Bradford based Thermocable and enhanced security, reduced plug-ins and improved performance. All 3 sites went live in our ultra-stable hosting environment and the site speed and general performance has seen a dramatic uplift. Squizzas – We launched a new Magento site for Northampton based Squizza’s, complementing their huge Amazon sales machine, in time for Black Friday. The huge range of products are fed from a 3rd party database and we have handled this as a seamless integration with no compromise on performance.